Agnete Friis’s lyrical, evocative work of psychological suspense weaves together two periods in one man’s life to explore obsession, toxic masculinity, and the tricks we play on our own memory. Jacob, a middle-aged architect living in Copenhagen, is in the alcohol-soaked throes of a bitter divorce when he receives an unexpected call from his great-uncle Anton. 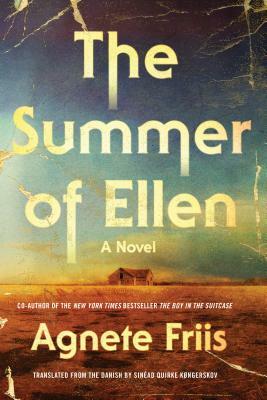 In his nineties and still living with his brother on their rural Jutland farm—a place Jacob hasn’t visited since the summer of 1978—Anton remains haunted by a single question: What happened to Ellen? To find out, Jacob must return to the farm and confront what took place that summer—one defined by his teenage obsession with Ellen, a beautiful young hippie from the local commune, and the unsolved disappearance of a local girl. In revisiting old friends and rivals, Jacob discovers the tragedies that have haunted him for over forty years were not what they seemed. Agnete Friis has co-authored four novels in the award-winning New York Times bestselling Nina Borg series: The Boy in the Suitcase, Invisible Murder, Death of a Nightingale, and The Considerate Killer. She lives in Copenhagen. What My Body Remembers was her solo debut. Sinéad Quirke Køngerskov is a Danish to English translator whose previous projects include Susanne Clod Pedersen’s Arnulf: A Viking Saga, Marie Tourell Søderberg’s Hygge: The Danish Art of Happiness, Katja Berger’s The Reaper of Souls, and Anette Sams’s The Truth about Sugar. She is also SmokeLong Quarterly magazine’s guest editor for Danish.